Most of the crafters making these gifts are women working from home and on average they spend around 19 hours a week on their craft business. They are part of a growing trend towards what are often referred to as ‘hobby businesses’. People often run these kinds of businesses alongside their fulltime jobs or as a way of testing the waters before launching their business as a full time enterprise. The growth in this kind of craft business is partly being driven by the increasing number of places where hand made goods can easily be sold. 59% of Christmas crafters sell through the Christmas markets that are becoming increasingly common in UK towns and cities but most also sell online. 53% of crafters sell on online auction sites such as eBay while 21% use more specialist online marketplaces like Etsy and Not On The High Street. 14% also sold goods on their own ecommerce websites. 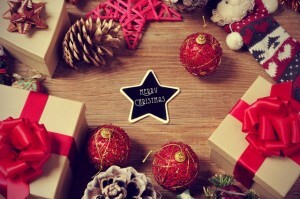 Christmas craft businesses are a great way to earn some extra income and to test out a business idea without needing to give up the day job. However, HMRC have been increasingly targeting this type of business over the last few years, especially when people are selling online. It is therefore important that you follow a few basic rules to keep your business legit. Tell HMRC – If you are earning money by running a craft or Christmas business you need to tell HMRC about it. To do this you will either need to be registered as a sole trader (self-employed) with HMRC or have formed a limited company. Keep Records – As soon as you start your business you need to keep accurate and up to date records of what you are buying and selling. This is a legal requirement but it will also help you in the long-term as you will be able to track your profits and work out any tax liabilities. You can either record your incomings and outgoings on something like and excel sheet or you can get some specialist bookkeeping software. Pay Tax – The reason HMRC are targeting small online sellers and bobby businesses is because they think a lot of them aren’t paying tax. Most small craft businesses will only pay tax on their profits once all expenses have been taken into account (things like materials, packaging, market stall rentals, transaction fees) so this is where accurate record keeping can help you out. The typical tax rate paid by a small craft business will be 20% of your profits, although it can be more if you either have a high turnover or are a higher rate tax payer in your day job. Keeping track of your profits as you go along and then putting aside 20% of it will make sure you can meet your tax bill when it is due and won’t find yourself getting in trouble with HMRC. If you use specialist bookkeeping software you should be able to work this all out fairly easily. If you need help getting your business up and running or have an existing business that you need to tell HMRC about The Company Warehouse can help. We have a range of business registration and company formation packages for you to choose from. We can also set you up with bookkeeping software, prepare your tax returns and even act as your agent and deal with HMRC for you. Our Business Consultants can talk you through the options and get you up and running. Just give them a call on 0800 0828 727. If you are an eBay trader and need to register your business our Company Formation services will get your company formed and register your business for VAT.